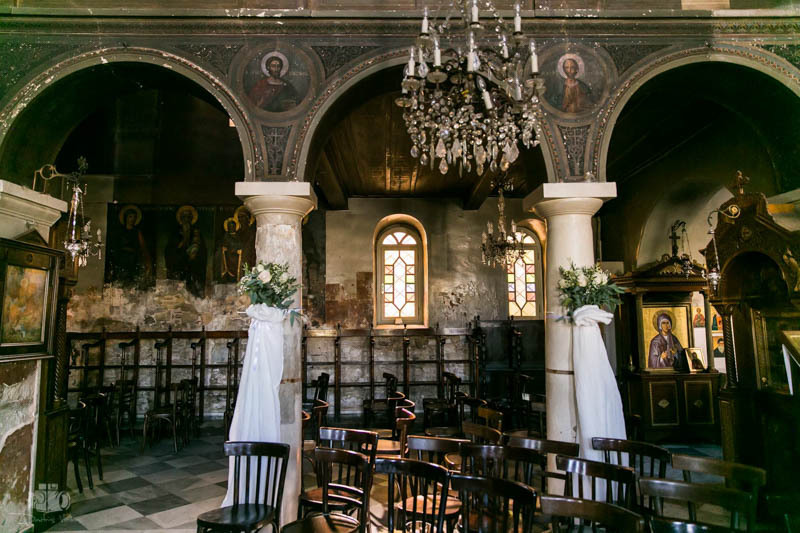 Will be able to get good pictures at the location we chose for our wedding? 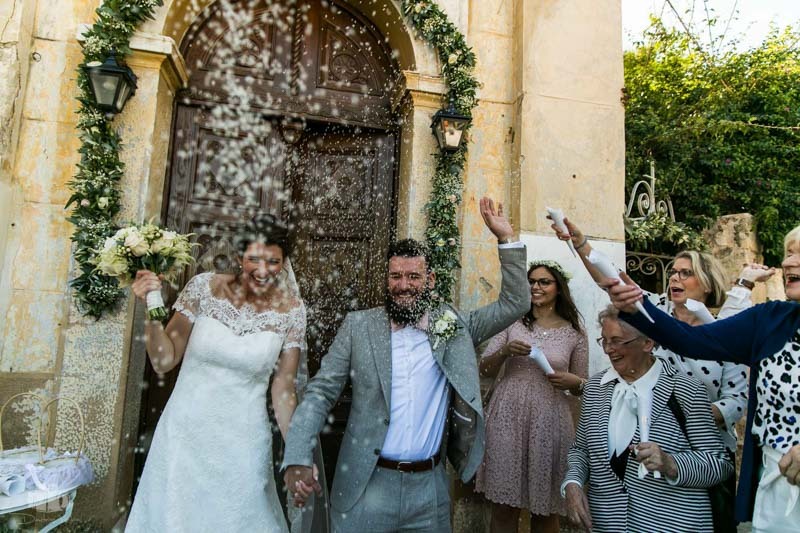 The truth is that the selected location will provide the ‘natural’ setting in which the couple and their guests will be moving. 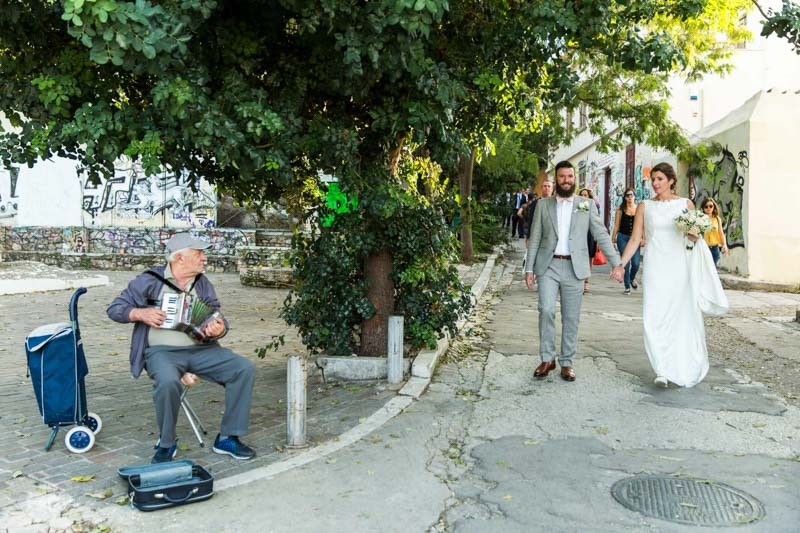 As you will see on the following wedding in Plaka It is the setting that will complement, or highlight, and sometimes, because of its unique features, even set the tone and dictate the style for the entire wedding. 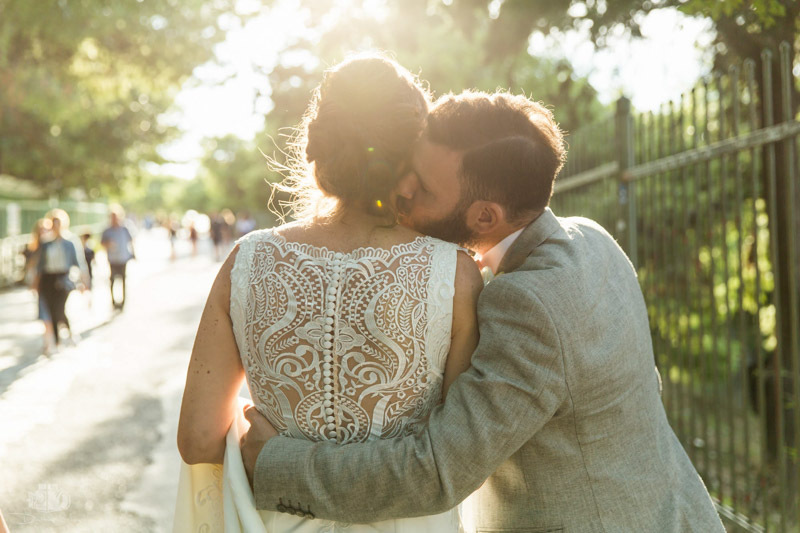 That’s why the location is the first decision a couple makes when starting to plan their wedding. 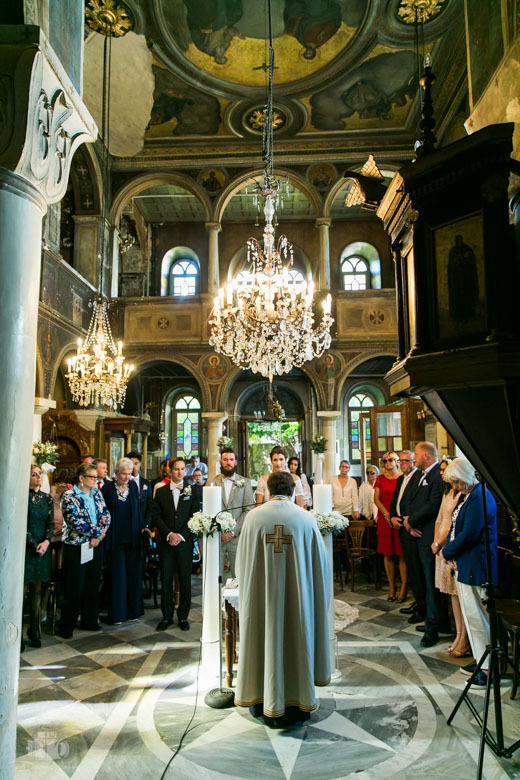 The wedding dress, the invitations, the bonbonnieres, the groom’s suit, and the decorations are all integrally connected to the character of the space and combine to create the atmosphere and style of both the ceremony and reception. 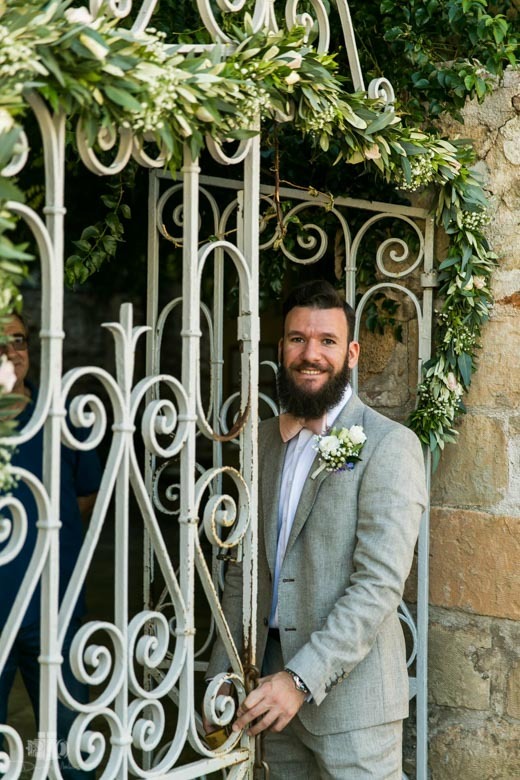 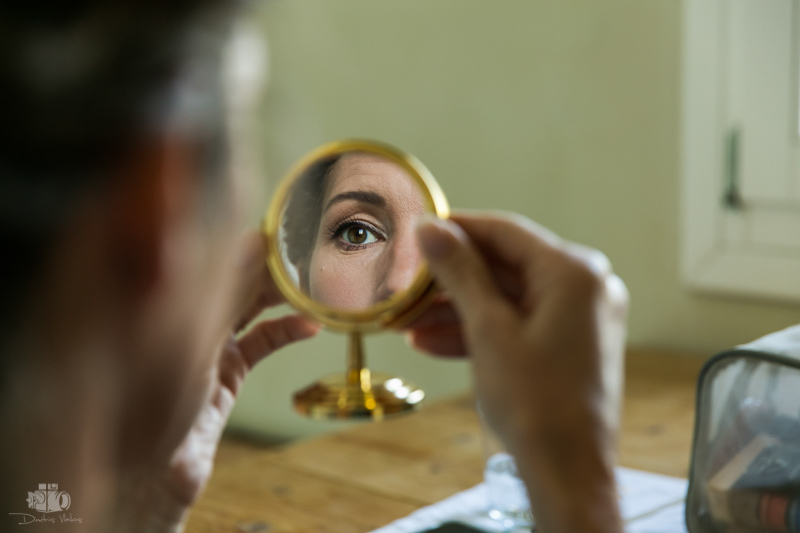 Therefore, for me, as a wedding photographer, it’s important to highlight the beauty, the light and the unique features of each venue. 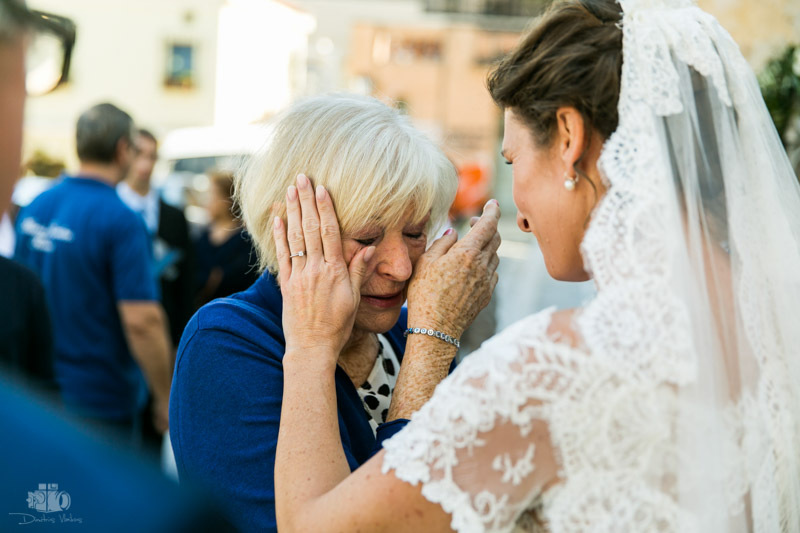 Above all, it is important to use these elements to create images that capture and keep these moments of joy and emotion alive for the couple and their guests. 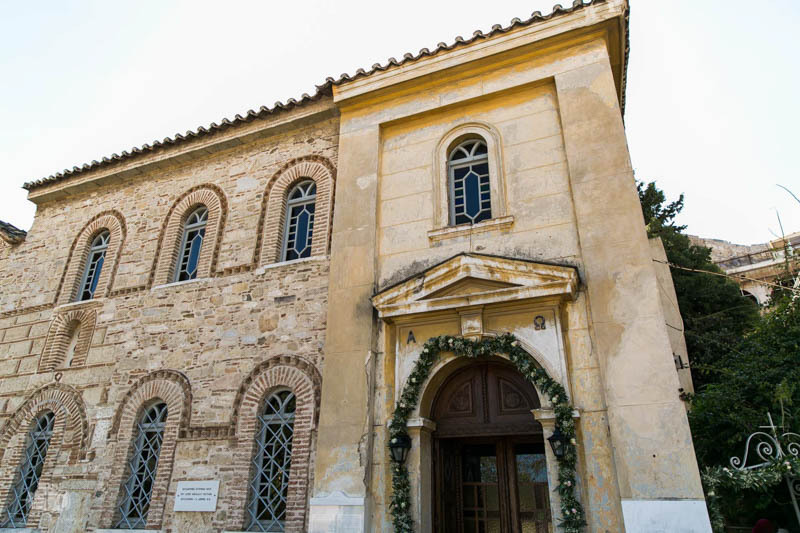 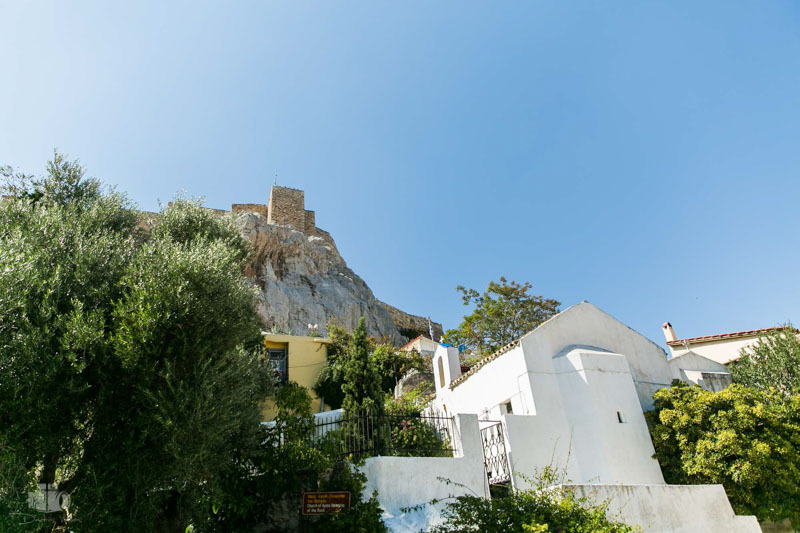 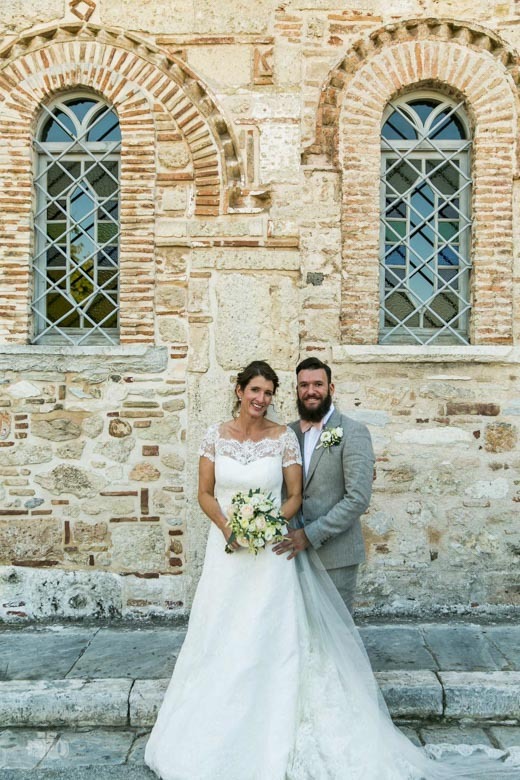 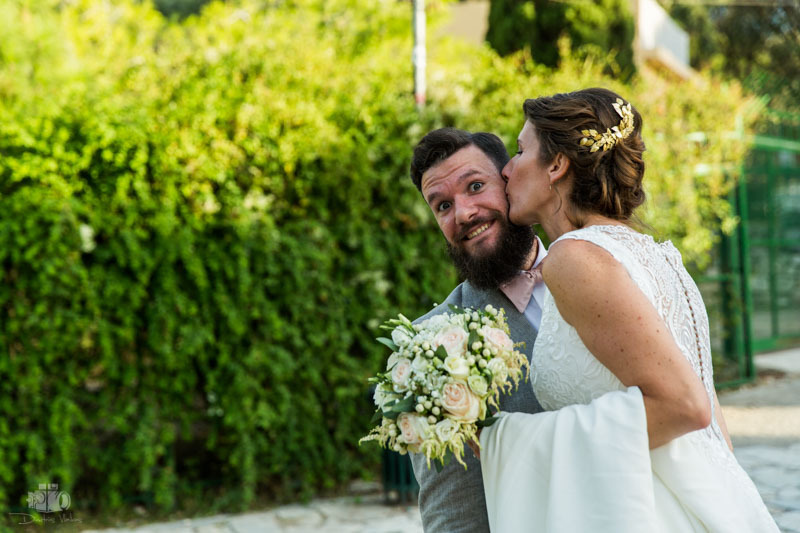 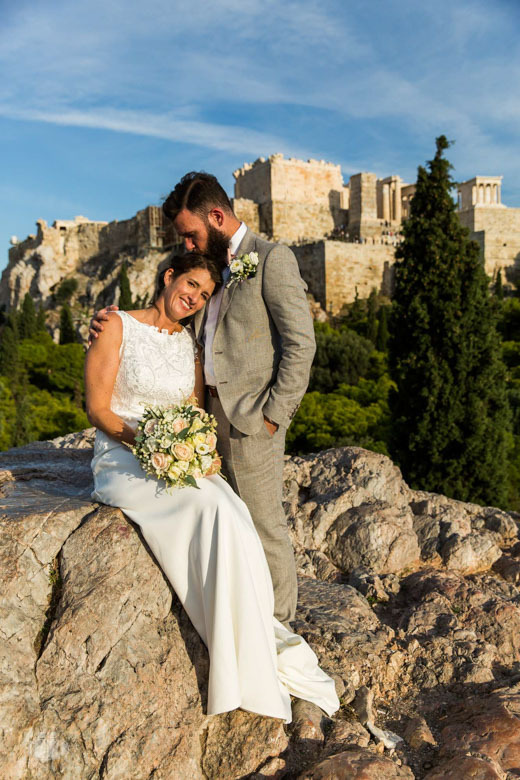 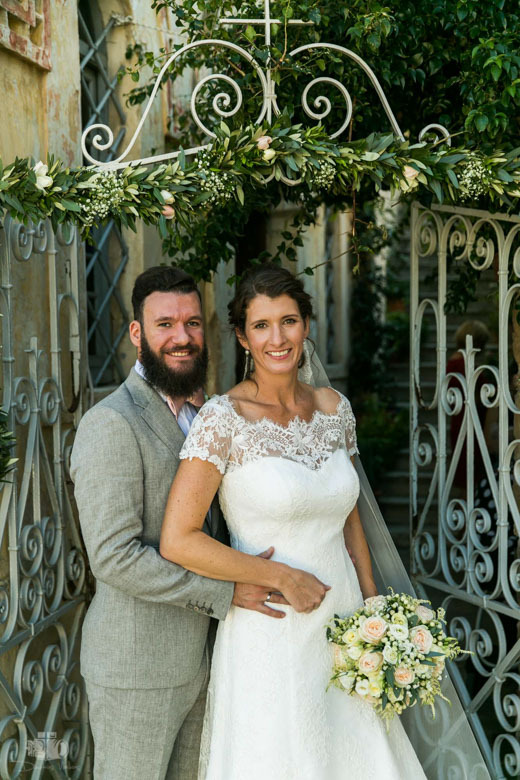 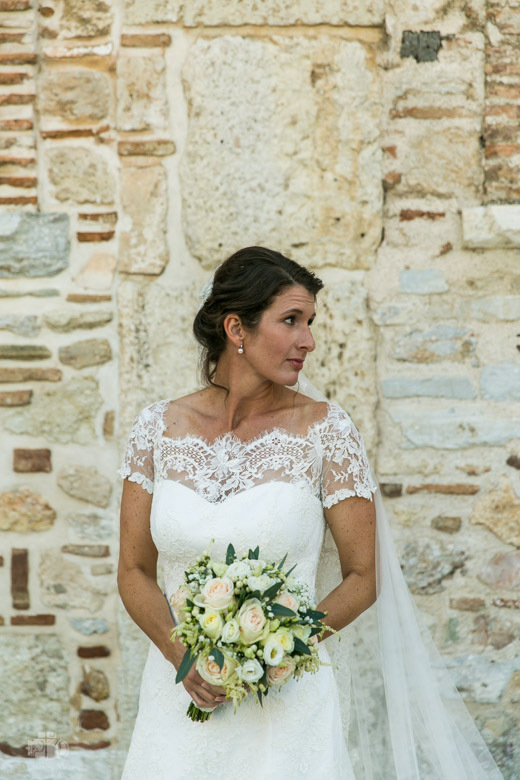 Situated at the foot of the rock of the Acropolis in Plaka, Christos and Anna chose the chapel of Agios Nikolaos Ragavas for their wedding in Athens. 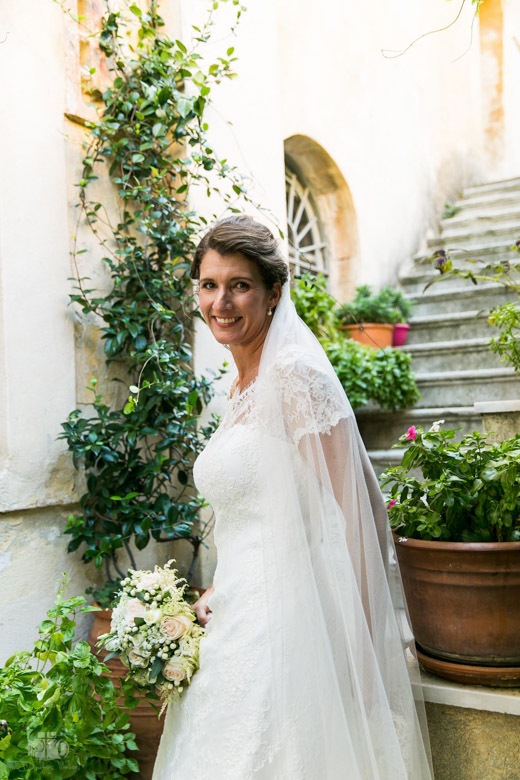 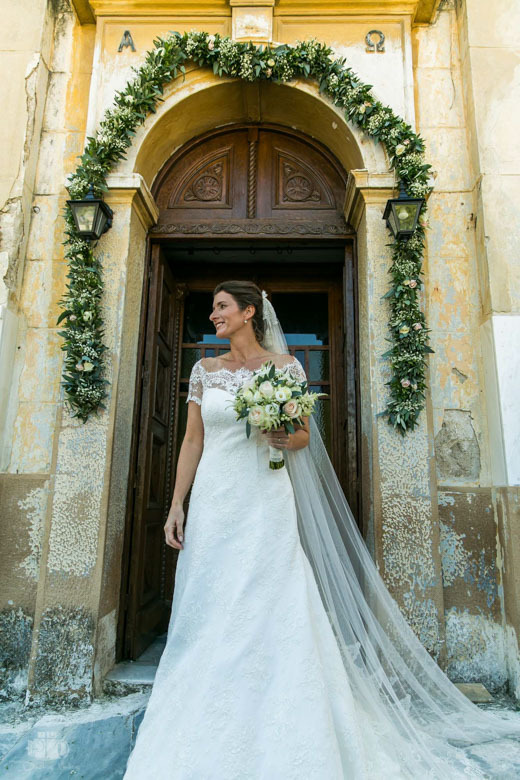 The bride opted to rent a small house in the Anafiotika district nearby for her preparations so she could be near the church, where she arrived on foot accompanied by her father. 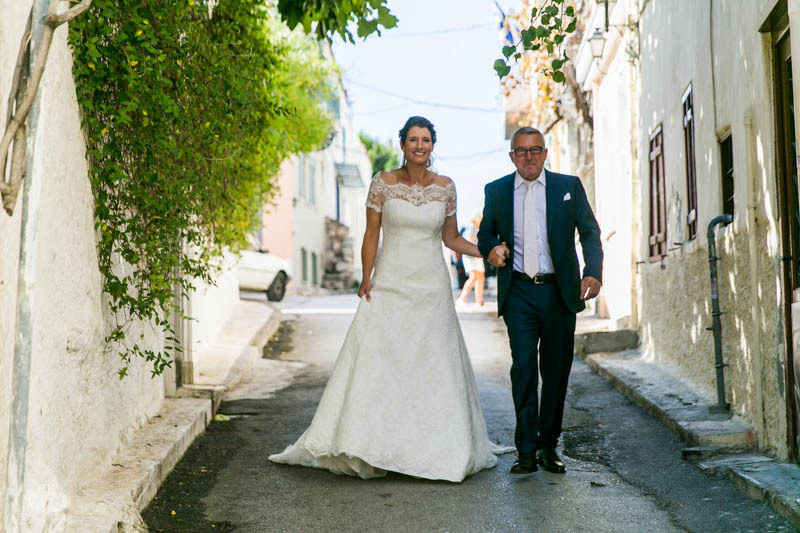 As she walked along the picturesque, narrow whitewashed streets, she arrived at the church, where the groom and the guests were waiting. 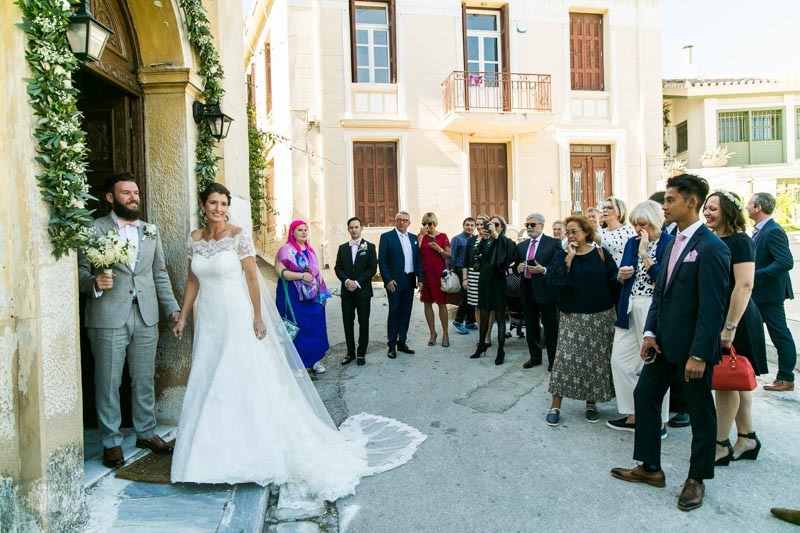 The church of Agios Nikolaos Ragavas with the tiny garden, the lace wedding dress, the white flowers, the long train and the smiles of the couple, their relatives and friends were enough to create the ultimate romantic atmosphere under the hot summer sun. 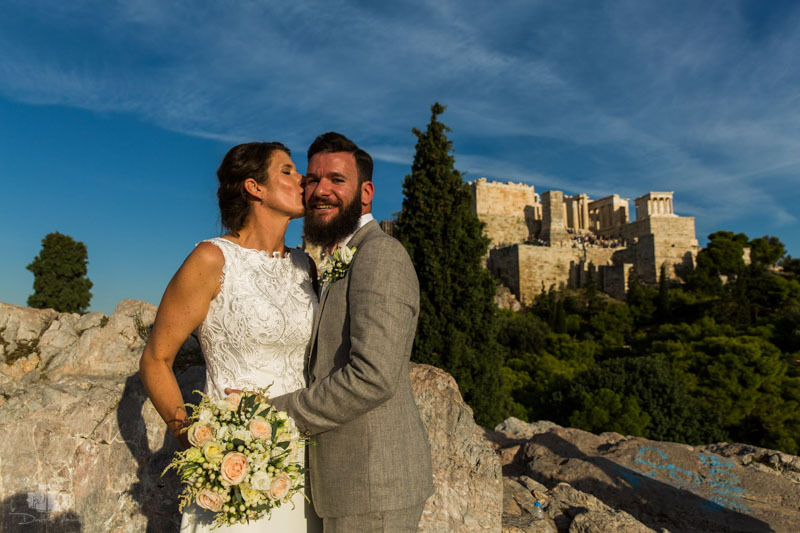 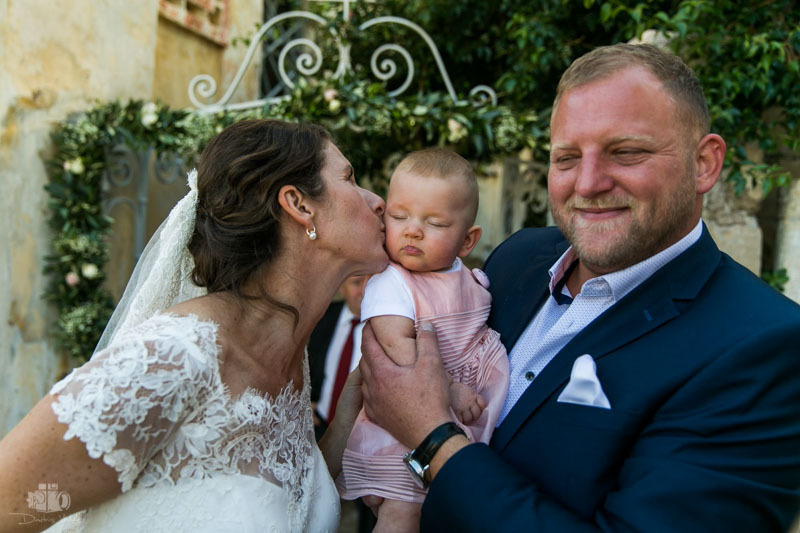 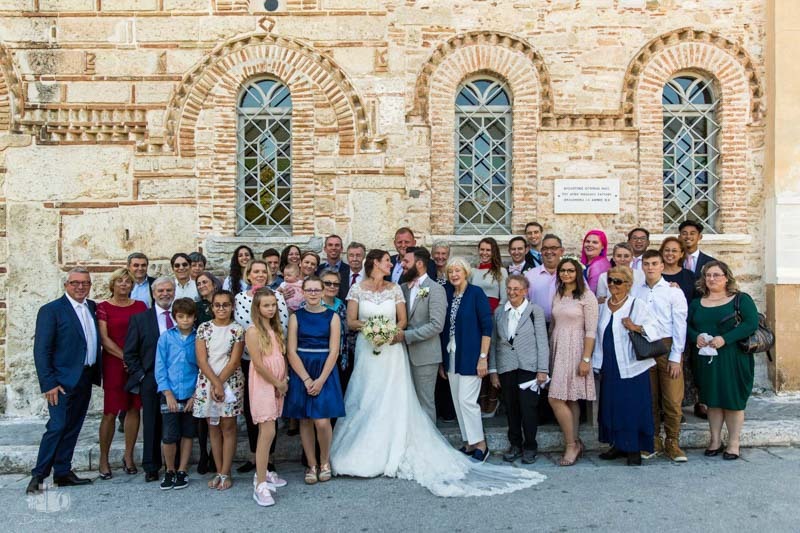 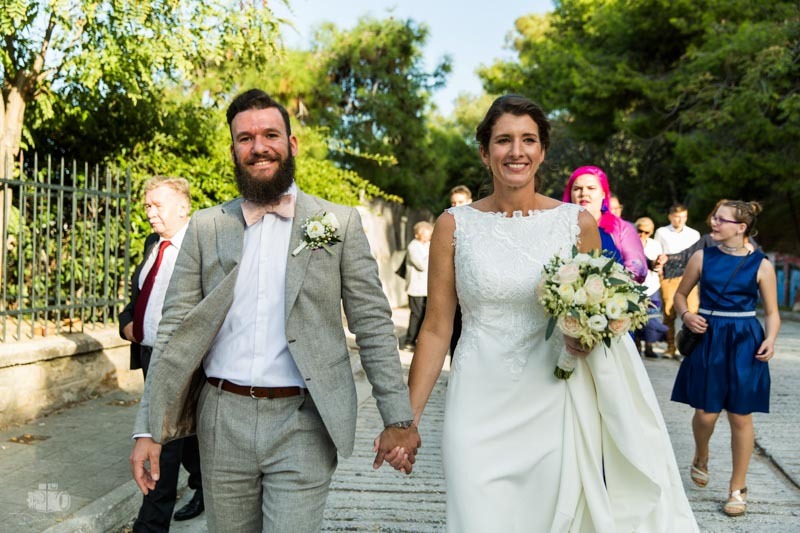 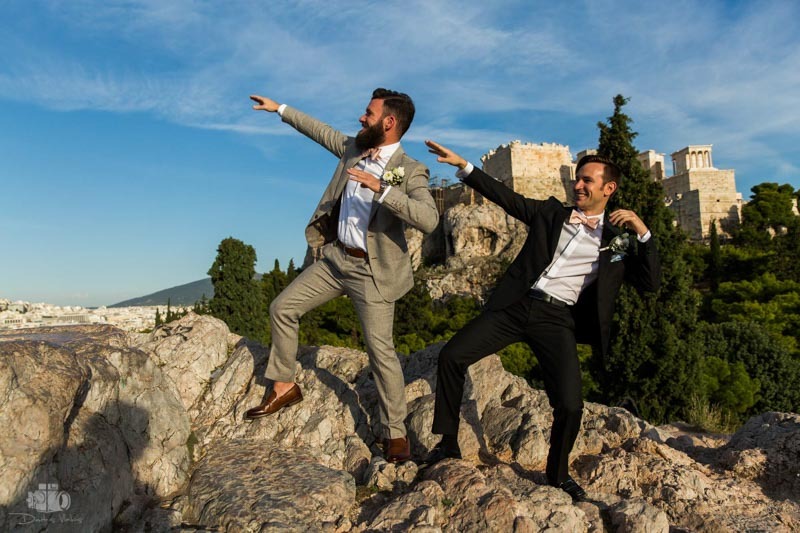 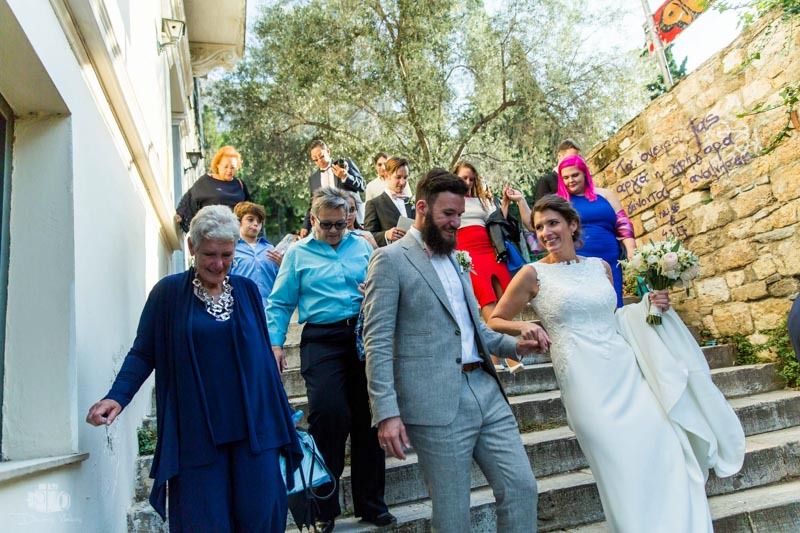 The couple chose to get married earlier in the day to allow time after the ceremony to enjoy a stroll through the historical centre of Athens with their guests while there was still plenty of sunlight. 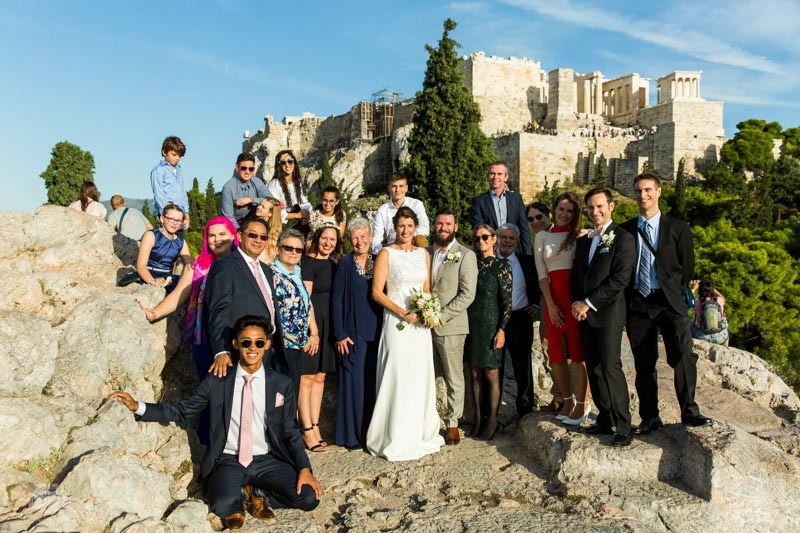 They walked around Plaka, climbed the hill opposite the Parthenon and took keepsake family wedding photos with the Acropolis in the background; A sort of pictures of the couple in the same background been taken. 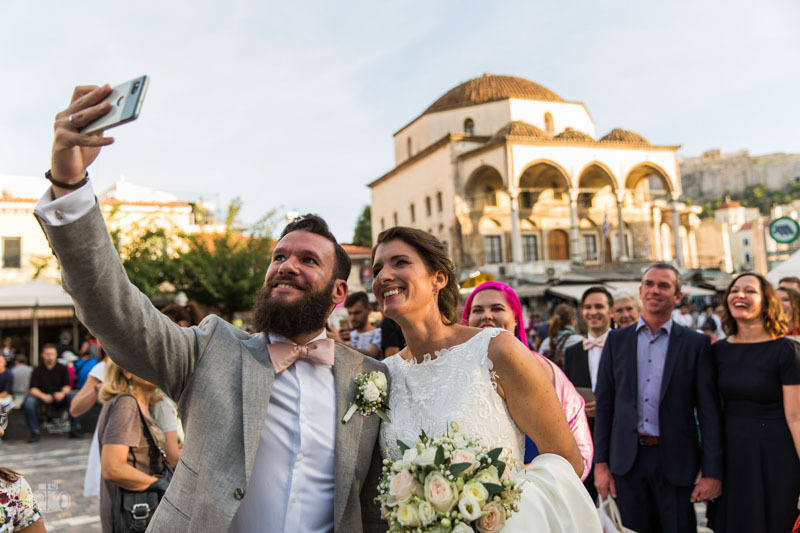 Then all together they stopped for a typical but memorable selfie at Monastiraki flea market and went on to Psyrri. 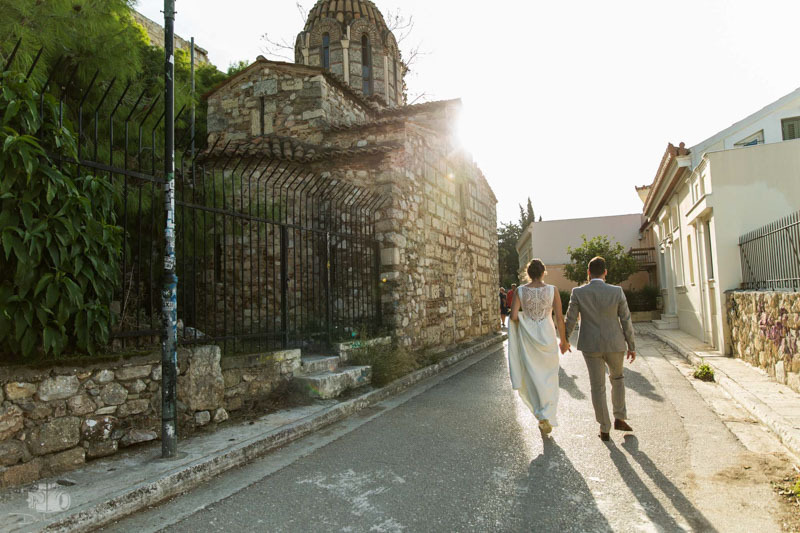 The couple had booked a restaurant in that district so the venue for the reception dinner could be accessed on foot. 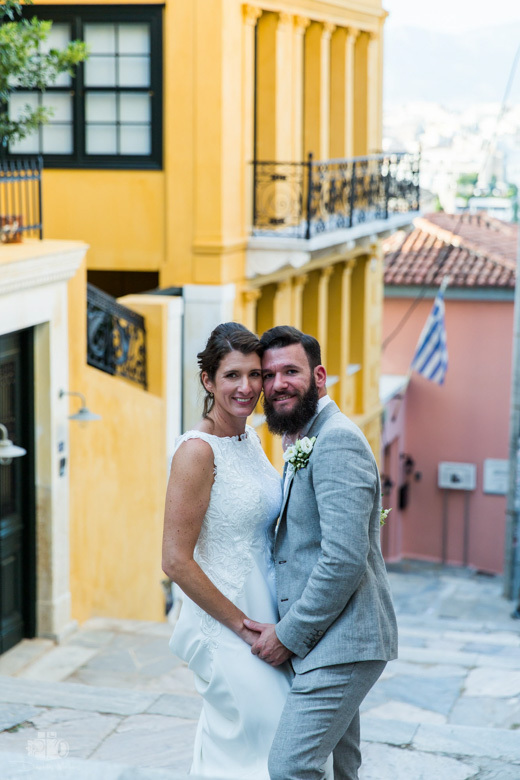 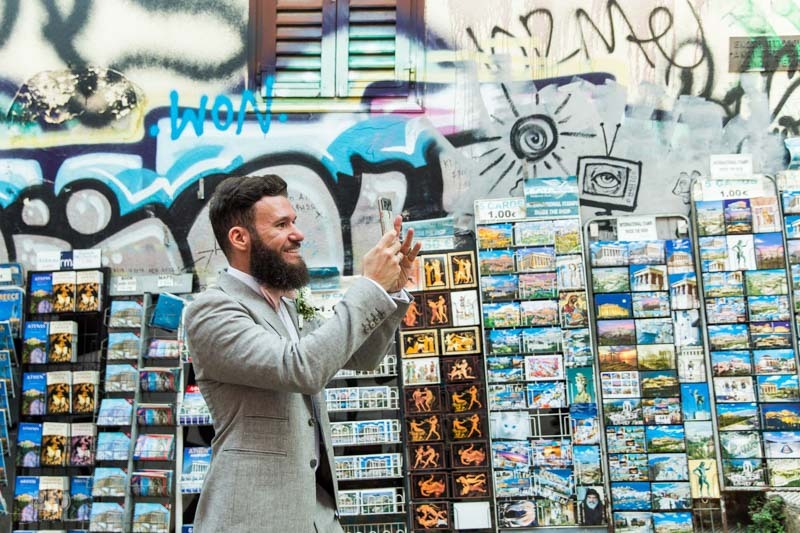 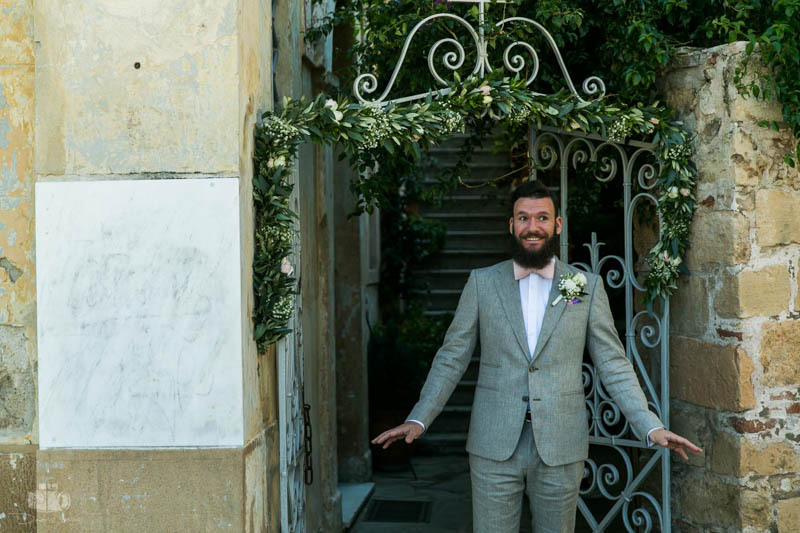 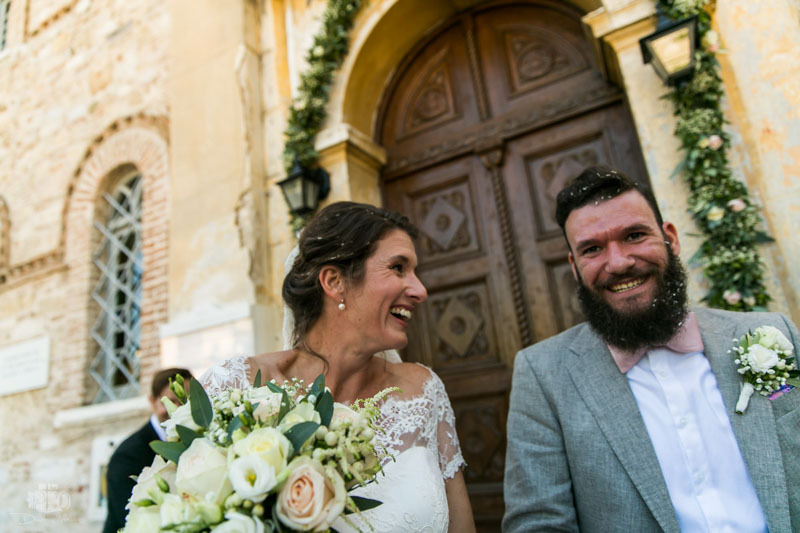 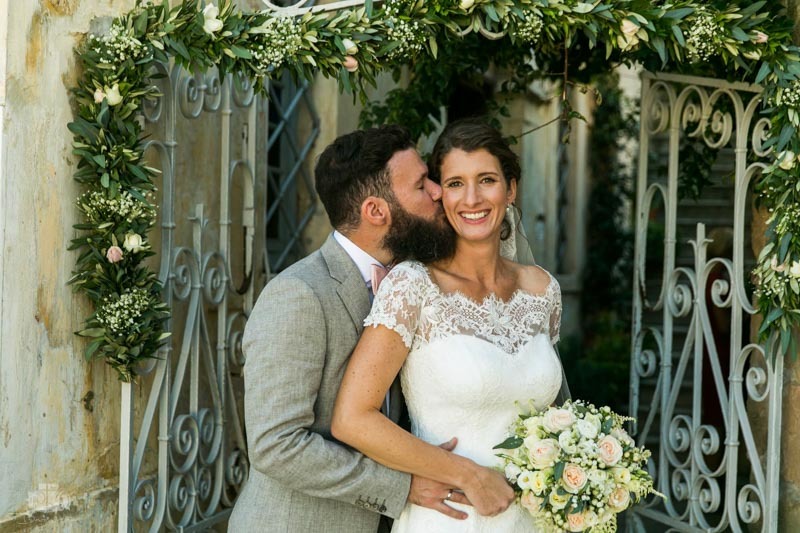 And that’s how the wedding of Christos and Anna in the centre of Athens came to its conclusion, full of wedding photos with light, history, romance and – above all – smiles.